In a hectic year it is good to attend and contribute to Oracle user group sessions. This adds an element of a ‘Working Holiday’ to someones schedule. I can promise you, the vacation isle of Rovinj is a perfect venue for this and especially since it is the last week of the opening of the Hotel for this season. Of course you can find all information about contributing to these events right here!! @HrOUG_2015, as the official twitter-account of the conference goes, brings just this!! Content combined with pleasure. Ranging from quality sessions by Rock star speakers to relaxation in the pool and late night party in “The Castle”. Currently the biggest worry is rain… At least for the attendees. As always the (very) hard working organizers are doing their best to create a super experience for everyone attending the conference, and my personal biggest worry is that the participants will actually bring their laptop to the hands-on experience. Actually doing logical replication yourself is so much cooler than seeing it demonstrated. It will be an interesting experience anyhow. This conference also led to another series of Oracle Hero’s I got to meet in person! Maja Veselica, so good to finally meet you! Vladimir Radić, the ever busy VP of HrOUG. And as always there is really serious stuff going on as well. One of the main challenges or worries today is the developments surrounding Oracle Database Standard Edition Two, and the impact it brings for the development of the European market. Eliminating this database version forces emerging projects to use the Oracle Cloud, as the super-sharp priced project startup version is no longer available. We had this with Standard Edition One. It also counters Oracles own statement, quite recently presented by Andrew Sutherland, of hybrid cloud functionality, since there is no “on-premise” equivalent for a small scale project anymore! We are hoping for a good discussion on Friday during the Standard Edition Round Table version at HrOUG, co-hosted by Philippe Fierens, as this development is very heartfelt in Croatia as it is in many European countries. If you want to read more about this years event in Croatia, please checkout the many tweets and facebook entries by @helifromfinland, @alexnuijten, @roelhartman (ps. Vote for Roel as member of the ODTUG board) and many more!! Oh, and as far a basic life’s needs go… The Internet on the island is the best ever!! I went over the agenda for UKOUG_Tech15 and took my picks & suggestions. Standard Edition Something for the Enterprise or the Cloud? SE DBA’s Life a Bed of Roses? Watch out for #RepAttack… all day long!! Hopefully it will attend you to some interesting session for you! Okay, it is not very much more than smoke, since Ludovico Caldara found MOS note 2027072.1 about the support of Standard Edition 12.1.0.2.0 and blogged and tweeted about it. Despite Ludovico’s disclaimer, there is, nevertheless, some smoke… And Twitter quite quickly filled up (at least the early where I take interest). Dominic Giles stated: “More to come soon!” And Ann Sjökvist urged calmness by saying: “let’s wait for facts!” And of course she is right. As one of the founders of the Oracle Standard Edition Round Table (#orclSERT), this interests me. Standard Edition One comprises the most cost effective software stack around. For a deeper dive on that statement, please visit an orclSERT session at an Oracle Usergroup event near you, or drop me a line. 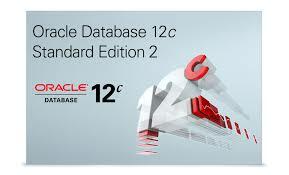 Beginning with the release of Oracle Database 12.1.0.2 Standard Edition 2 (SE2), Standard Edition (SE) and Standard Edition One (SE1) are replaced by Standard Edition 2. SE2 will run on systems with up to 2 sockets and will have the ability to support a two node RAC cluster. 12.1.0.1 was the final edition that we will produce for SE and SE1. Customers running SE or SE1 will need to migrate their licenses to SE2 to be able to upgrade to 12.1.0.2. 1. SE2 will run on systems with up to 2 sockets. 2. SE2 will have the ability to run a 2 node cluster. – RAC will become available across the board in the Standard Edition realm. – How many sockets will a full SE2 cluster be able to support? 2 sockets, if you would follow current rules, 4 sockets if the license would be optimal! And it is always good to speculate about price… And mind you, this is smoke! The best educated guess so far, 3/4 between SE1 and SE, which could (hopefully) bring the price to round about 10k euro per socket, but… who knows? Perhaps, as Ludovico also stated, socket licensing could become history? The great news is, Oracle Standard Edition will remain available as the alternative to the Enterprise Edition installations. For more information we will just have to hold our breath a little longer. But, be assured, during the next session of #orclSERT we will be able to tell you (much) more!